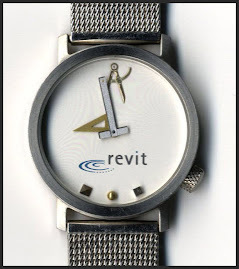 Just to further getting the word out the Revit Technology Conference 2013 - Australasia is now accepting abstracts until Wednesday October 31, 2012. CLICK HERE to Submit. The abstracts requested, at this time, are ONLY for the conference in Auckland, New Zealand this year, May 16-18, 2013. Separate requests will go out for the other two conferences a little later this year. If you want to keep track of RTC information you have options; Naturally the main RTC Site, and I have a page on this site dedicated to RTC, You can follow RTC on Twitter RTCNA - RTCAUS - RTCEUR and RTC on Facebook as well as the RTC Blog and Linked in and Instagram. We're working on a single You Tube channel. Have a couple minutes? Considering attending RTC in 2013, then check out this video (00:01:44) to see what RTC is all about. It was created with footage taken from the event in June (Stone Mountain, GA).